As the digital medium makes inroads into virtually every aspect of a consumer's life, brand marketing and advertising too has undergone a sea change over the last few years. Emphasis on the traditional tools of advertising with its heavy reliance on great copy and good television commercials has reduced. Instead, marketing and advertising today is a complex web of data analytics, customer behaviour and interesting ideas. Day one of Goafest, the annual ad fest held in the west Indian state during spring time, dwelt on these very points. Marketers such as Amazon, Flipkart and Myntra, which were part of the industry conclave on day one, put forth their thoughts on how best changing consumer behaviour could be tapped both online and offline. Achint Sethia, vice president, marketing, Myntra, said the brands in general that were winning hearts were those that were “telling” stories and not “selling” stories. “People are overwhelmed with the number of stories being sold to them, but the trick is to understand who your customer is and how well you hear them and make them feel,” Sethia said. For his part, Ravi Desai, director, mass and brand marketing, Amazon India, pinpointed the shifts in advertising and marketing today. From the way audiences and customers are profiled to how brand communication needs to be integrated into product experiences, Desai covered it all. “Earlier, perception drove behaviour. Today, it is the other way around — behaviour drives perception,” he said. The challenge for marketers and agencies, he said, was to stay abreast of these changes and understand who the next competitor was. "For example, competition today does not necessarily have to come from a like-to-like peer in the marketplace,” he said. “It could be a service by a tech start-up or company that provides the consumer with a solution,” he said. So, while television channels earlier could look at their broadcaster peers as competition, today over-the-top platforms such Amazon Prime Video and Netflix are disrupting the entertainment world, Desai said. Similarly, distribution no longer refers to need fulfillment, but need anticipation, he said. An adept marketer would need to incorporate these changes in his media plan in order to succeed in building brand loyalty, he added. 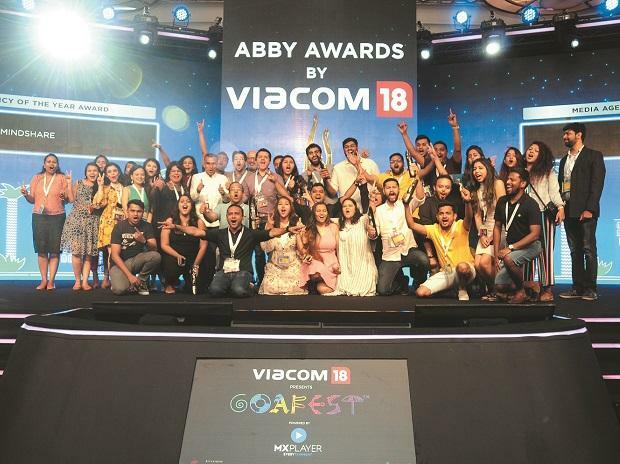 Mindshare, which is part of GroupM, was the leading agency at the Media Abbies announced on Thursday. The agency took home a total of 14 metals, including four gold, six silver and four bronze. Madison Media came next with a total of 11 metals including three gold, one silver and seven bronze. Initiative Media, part of IPG Media Brands, was third with two gold, one silver and four bronze metals. Sometimes advertising wisdom can come from unexpected quarters. A Velumani, founder and MD of diagnostic chain Thyrocare, is a scientist and entrepreneur by profession. But his presentation set the tone for the ad fest on Thursday. Sample this: Love nature, not gadgets. Burn calories, not salaries and romance risk, not temptation. His punchlines were easily the best of the day, with the man getting a standing ovation at the end.